Hello - and welcome to Pastiche, the Family Friendly E-Magazine that's been online since 1998. In Internet-speak, we were founded BB (before blogs). 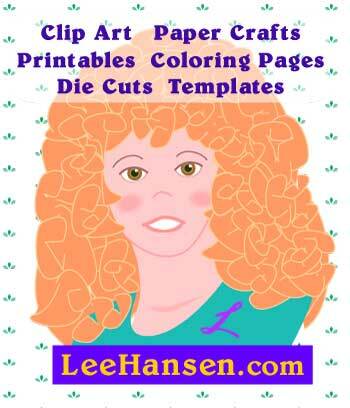 Lee Hansen is the publisher and editor of Pastiche Family Portal and the artist/owner of Clip Art and Crafts and Lee Hansen Design. 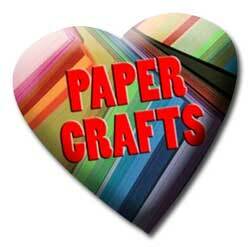 Follow Lee's Pinterest Boards to discover new printables on site and at recommended blogs and check out Pastiche Design and PaperCrafts at Facebook. This web site generates income based on affiliate relationships with third parties and advertising services. When you make a purchase from a product offered on this web site, we earn a small commission from the sale. 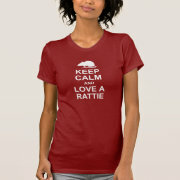 We partner as an affiliate to sell merchandise offered by reliable online merchants managed by ShareASale.com and Zazzle.com. Ads you may see are delivered via Google Adsense; adult-content ads are not permitted on this site. Pastiche Family Portal collects general information about visitors to this site through its web site traffic log files, data that all web servers supply to web site owners. The log files record unique IP addresses and provide general server traffic information about movement to and from the pages located on our web site, downloads, and time spent on each page. We use this generalized information to analyze interest areas and to identify web site usability or performance issues. We do not use this information for inappropriate purposes, nor do we embed spyware or other software on our pages. We do not collect information without your consent or awareness, and at all times the information we may collect is voluntary - you fill out a form. We use aggregate traffic information solely for improving the site content and for general market analysis. We gather only voluntary feedback and limited personal information from our site visitors who initiate contact with us through our contact forms. We do not gather personal information without your knowledge. We run ads managed by third parties who may set cookies when you browse the site; our affiliate ads may set cookies to record your click from our site to theirs so that we receive credit for your purchases from them if you become a customer. If you wish to prevent ads or site from setting cookies, you can do so with controls in your browser. Be advised this may alter / degrade your browsing experience on some sites. Finally, we do not capture keystrokes or personal data from site visitors or newsletter subscribers. If we ask you to fill out a form, we will not share the information with others. We do not solicit products to children, nor do we ask for any personal information from children. We respect your privacy. Your name and information you enter into our contact forms will never be shared, traded, sold. Period. We will not send you unsolicited email. We partner as affiliate publishers with reputable merchants and service providers: ShareASale, Google Adsense and Zazzle. We use these third-party companies to display products and ads when you visit our website. These companies may use cookie information (not including your name, address, email address, or telephone number) about your visits to this and other websites in order to provide appropriate advertisements about goods and services of interest to you. Products offered for sale on this site are clearly marked as such. If you would like more information about cookies, third party advertising practice and learn how to manage your choices for advert display or controlling cookies, click here. We never request personal information about or from site visitors. We publish special child-oriented content for parents, teachers and caregivers to share with children, including clip art, coloring pages, games, crafts, printables and puzzles. We publish a special section on this web site that offers kids carefully screened links and projects (Kids Stuff). Some of the content in the Kids Stuff section we create ourselves, some is developed by others or is hosted on other web sites. We visit all sites linked from the Kids Stuff page personally before adding content or links to the page. Kids Stuff presents content that's intended for use by kids. Before we add a link, we visit the site to screen it and be sure it's safe for children. Kids Stuff on this site contains links and content for children to enjoy independently, online and off-line. All of the content is reviewed and cleared before we add it or a link to it on this web site - however we have no control over its creation or development, so we cannot guarantee it will remain that way. If notified or made aware that content is not appropriate from any link on our site, we will remove it immediately. We, too, are parents and grandparents - and we fully believe in keeping kids safe online! Kids Stuff may contain seasonal activities and crafts, interactive games, funny photos, clip art, cartoons, music, jokes, stories, puzzles, or coloring pages suitable for youngsters. The limited sponsor messages that appear within the pages for children have been carefully screened. Again, we link some Kids Stuff items to pages off our site, but only to pages that contain artwork or projects created by and for kids, or to sites we have visited personally to check out. We do not knowingly post links to sites that do not conform to Safe Surf, ICRA and Family-Friendly content policies. Our links page is hand-edited and hand-screened. We do not accept links from sites that do not conform to the same family-friendly policies as this site, or from sites that do not offer content for families or related to parenting. Finally, we may periodically offer contests or giveaways that request an e-mail address or completion of a registration form as a requirement to enter. If so, the contest will clearly indicate the prizes and rules, and any form that a child completes will require a parent's or other caregiver's e-mail address and approval. It will require that an adult certify that the child is of legal age to participate or has permission to provide his or her name and email information. We will NEVER knowingly use any e-mail address for marketing or any other purpose without permission, nor will we knowingly share personal data for any purpose. I created my first family-oriented web site in 1996, then started expanding the family and parenting content sections in 2001 when I was "downsized" by the marketing firm where I was employed as webmaster and digital media manager. The main web site bears my name (www.leehansen.com) and connects to all my web sites and many of my blogs. It's where you will find all my newest clip art, coloring pages for adults, teens and kids, plus oodles of nifty printables and paper crafts. Click my name or photo below to send me e-mail or use the contact form. PS - Thanks for stopping by and please tell parents and teachers about this site and its free resources. I selected the name Pastiche ( loosely translated as "a collection of incongruous parts, or a hodgepodge, a collage ") because this website is an eclectic curated assortment of family-friendly features gathered together from many different licensed or personal resources. Those resources include my own artwork, original crafts, family recipes and articles, plus parenting tips, business stories and family articles contributed by other authors, parents and kids from around the world. Pastiche sponsors the Code Amber Alert program and the national security level code system banner network as a service to our visitors. We comply with and support FTC rules about Internet safety, especially when it comes to kids, and we are strong proponents of online privacy for everyone. Some features on this web site are contributed by writers who are independent content producers - professional counselors, educators, aurthors or subject matter experts. Many are parents, homeschoolers, educators, and grandparents who enjoy writing family-friendly articles or designing arts and crafts for kids and adults. I feel fortunate to be associated with so many talented and generous contributors who have like-minded ideas to my own about the Internet, creative learning, and about sharing their work with others. To send us e-mail, you can visit our Facebook pages. I read all my e-mail personally, and I respond appropriately as needed. We require sites that partner with us to have family-friendly child-safe content that relates directly to our site. Not all suggestions for links or article submissions will be appropriate; not all proposals will be accepted. Just a Tip: If you receive spam or UCE (unsolicited commercial e-mail) and the sender won't respect your request to stop, forward the offending e-mail message to UCE@ftc.gov with all its message headers displayed. The US Federal Trade Commission monitors complaints sent to that address to help stop spam and fraud. You can also visit the US Federal Trade Commission web site at ftc.gov for more information. PS - Thanks for stopping by and please tell parents and teachers about this site and its resources. Follow my coloring pages board at Pinterest.